The Cortices Technique is one of the core techniques of BodyTalk. It is a simple do-it-yourself technique that takes only one to two minutes to do. Tapping your cortices helps to balance the right and left hemispheres of the brain and restores brain function. Cortices is part of the BodyTalk Access training. Click here for Access Training information. 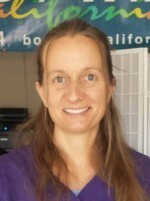 Tricia True, advanced BodyTalk practitioner, demonstrates the Cortices Technique, which balances the brain and stimulates the body’s self-healing potential.